FRANKLIN, TN — There’s a college graduation rate equity gap between white students and students of color, Gov. 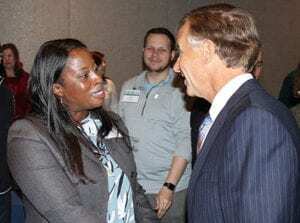 Bill Haslam told a conference on diversity, asking educators to close that gap. Winding up for that pitch, Haslam compared education policies of “a white Republican president, George W. Bush” and “a black Democrat president,” Barack Obama, who “kept three main tenants” of Bush’s No Child Left Behind program. Eight years ago, 70 percent of high school graduates needed remedial work when entering community colleges. Federal policy addressed that. 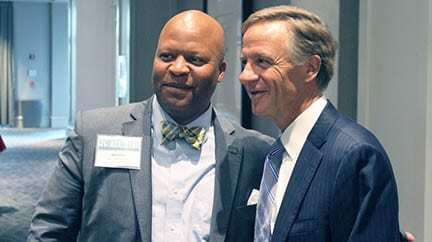 Haslam made post secondary education tuition free. 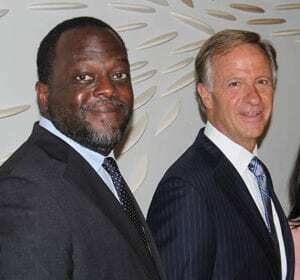 “Our challenge now is making sure they finish when they get there,” he said, having heard Tennessee Regent Joseph Hatch report white college students’ graduation rate is 27 percent. It’s 10.5 percent for blacks. Those rates are “not that great” and “unacceptable,” respectively. Noma Anderson, center, special advisor to UT’s president on diversity and inclusion, recognizes Tennessee’s tremendous headway addressing needs for employees with post secondary education. 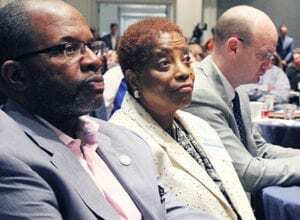 Derek Young, a corporate cultural consultant and diversity trainer for the Tennessee Board of Regents, said diversity should be “a way of life, starting with senior leadership to get them to model it, teach it, promote it. Where we’ve seen colleges and schools do that, we’ve seen progress.” Young led a seminar on leveraging diversity and inclusion. Kenyatta Lovett leads a non-profit for college completion, and works with Gov. Bill Haslam on what makes a difference for low income students to close equity gaps in college education. 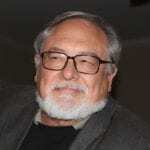 hiring procedures, put “equity agents” on search committees. Recruiting ads should request: applicants with success in multicultural communities; and essays on mentoring underrepresented students telling how to engage them. To increase college graduation rates, Youlanda Jones, president of Tennessee’s College of Applied Technology, recommends working one-on-one with students where they are. Students who’ve never been at a college may not have relatives saying ‘You can do this,’ because they may not be college educated. Motlow State Community College President Dr. Michael Torrence spoke of leveraging technology to increase equity. That prompted discussion on the availability of high speed Internet. Mae Perry, left, president of the Tennessee College of Applied Technology in Hartsville, greets Gov. Bill Haslam at the We All Rise conference sponsored by the Tennessee Board of Regents and the Tennessee Higher Education Commission.